It can sometimes be difficult to correctly differentiate one stamp format from another, especially when some of them are so similar. Many new collectors often wonder what is the difference between a stamp booklet and a booklet pane (these guidelines apply primarily to Canadian stamps)? First of all, it is important to know something about how stamps are initially produced by Canada Post. When a stamp’s final design has been approved, it goes off to the printers. 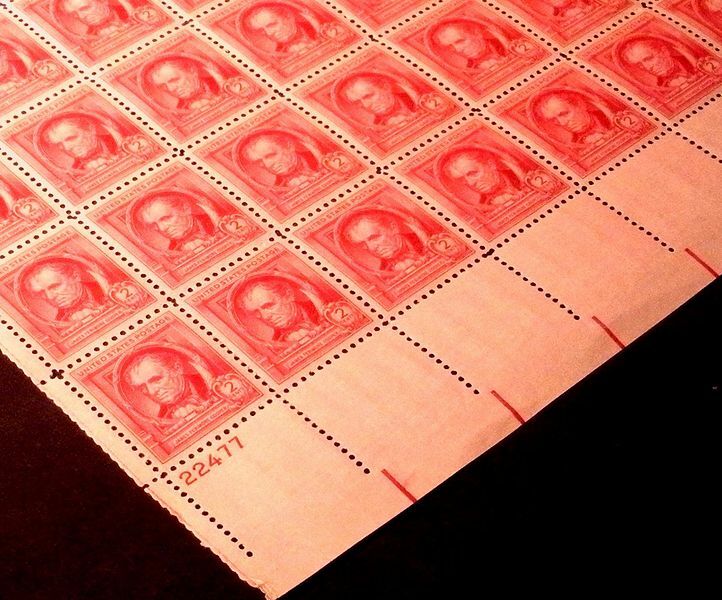 The printer prints the stamps on huge sheets of paper that can contain anywhere from 400-600 stamps per sheet; these are called uncut press sheets. To facilitate their delivery to individual post offices, these enormous printers’ sheets are then cut into more manageable sizes called post office panes. These panes can contain anywhere from 50-100 stamps each. Generally, collectors don’t bother with these sheets, or the smaller panes. However, an exception sometimes occurs when an error variety has been inadvertently printed and a collector has noticed it; some have then been able to purchase entire post office panes with errors before the post office realized what was going on and withdrew the panes from circulation. If the error becomes valuable, then these collectors now possess quite the little cash cow. But, this is very rare. Note: modern collectible uncut press sheets offered by Canada Post are geared towards collectors and are sold in signed and unsigned versions. They are nowhere near as large as the “real” uncut press sheets that come off the press. Some philatelists look down upon these fancy press sheets as a simple marketing ploy by the post office. So, back to our original question: What is a stamp booklet? In the early days of stamp printing, in addition to printing stamps on large sheets, as we just described, Canada Post also printed stamp booklets. These were meant to be a handy and practical way for the general public to purchase and carry around stamps. Each booklet contained several stamps (usually 5 to 10 stamps) printed on one or more small panes (usually 3 stamps wide by 2 stamps high, one of the allotted spaces on each pane was generally used as an advertisement label for the post office). The booklet had a cardboard cover and back to protect the stamps and the little panes were either sewn, stapled or glued into the booklet along their selvedge edge. 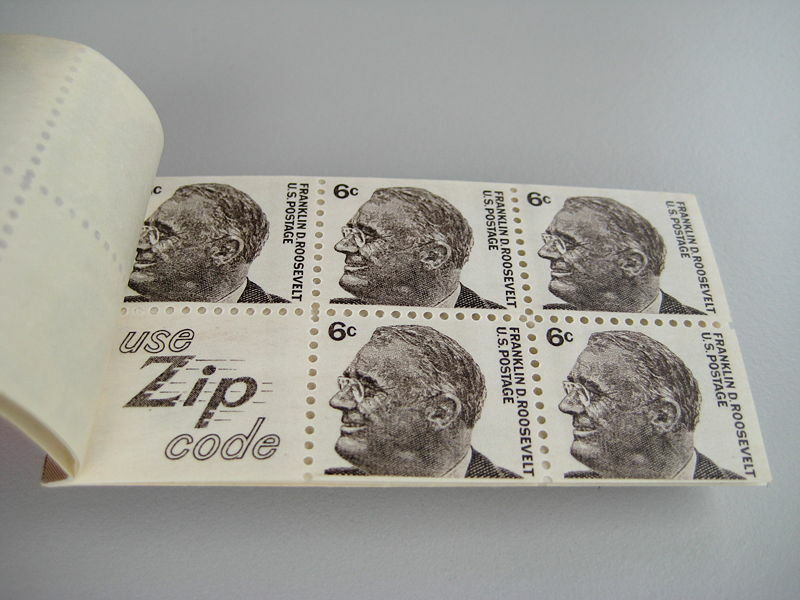 Therefore, a booklet pane is any one of these small panes of stamps removed from its booklet, or cover. The stamps in these booklets do differ somewhat from the stamps on printer’s sheets–usually one or more of the stamp’s edges is straight (non-perforated). Canada Post continues to print booklets today, containing anywhere from 5 to 30 stamps. However, the designs of these modern booklets is a little more elaborate than in the past. Often, they have a decorative selvedge or contain some additional information on the cover or beside the stamp. Some booklet panes even come complete with little fancy stickers you can use to decorate your envelopes (such as on the 1994 Greetings Booklet). In the case of stamp booklets made from self-adhesive stamps, the stamps are printed on cardboard sheets which are then perforated along the middle so you can fold the sheet in half, forming a booklet. Hopefully this article will help you sort out your collections!! Part 2 of this article will answer the following question: What is the difference between a full pane and a souvenir sheet? For the modern booklets, it is really a matter of personal choice. For the older ones, where there is a substantial price difference, you should keep those booklets intact. Thanks, I will check pricing for past booklets. I suppose same goes for a block of 4 (I have), when an album layout is for a strip of 4. Might as well make block into 2×2 to fit album.